Liberal scholarship on Paul reveals that women had a prominent role in the early church. Women can pray and prophesy in churches, and utilize their variegated charismatic gifts (as enumerated in 1 Corinthians 12). The Pastoral Epistles along with strongly-suspected interpolations such as 1 Corinthians 14:34-35 illustrate a more mature church, which, in order to preserve the image of a respected social institution, had to curtail the public role of women . 1 Corinthians 1:10-13 gives a picture of an early church (the community of Christians in Corinth, not the Church). There does not seem to be a head, but there were some divisions, with some members cleaving to Peter, Apollos, and Paul . 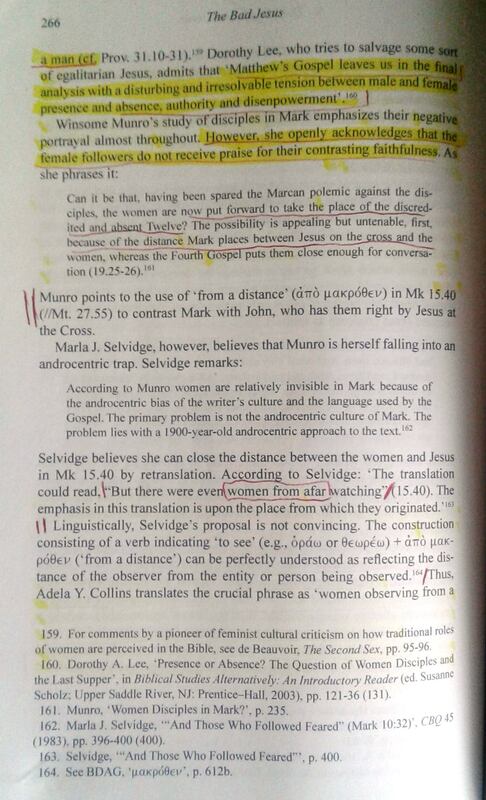 Furthermore, that passage refers to “Chloe’s household” indicating that a woman had some authority in the church, and it did not refer to her husband (if she had one). 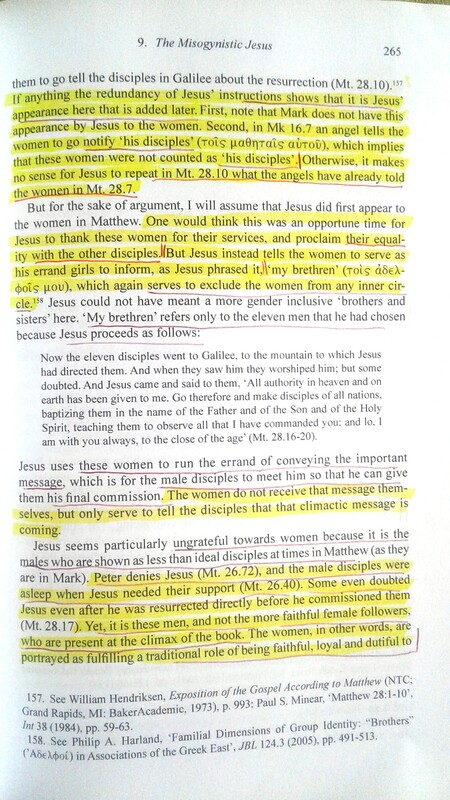 what did jesus think about jewish girls? I saw this yesterday, and I now realize that it is titled “The Bad Jesus”. I didn’t have to look it up, but it is nice to see some Hector Avalos here.